Ogaden is the land of hundreds of thousands of martyrs in the name of freedom and justice. It is the cradle of revolutionary heroes as well as the centre of Somali culture and heritage. It is situated at the junction between Ethiopia, Somalia, Kenya and Djibouti in the Horn of Africa. In the middle of the 16th Century, Ahmed Ibrahim, better known as Ahmed Guran and his men fought with Abyssinian aggressors in order to avers the latter’s permanent threat to the land of the Somalis. After the defeat of the Abyssinians, a European colonial power, Portugal, quickly came to their aid. In the conflict that followed, Ahmed Guran was killed by Portugese troops. However the precedent of external involvement at the expense of the Somalis had already been set. At the advent of the colonialist scramble for Africa, three colonial powers, namely Great Britain, France and Italy, with clashing interests, simultaneously invaded the Horn of Africa. Great Britain in pursuit of it quest to create an unbroken link from Capetown to Cairo saw this region as merely another link in the chain. France wished to extend her West African possessions to the Red Sea. Italy had the intention of linking Eritrea with Southern Somaliland thereby creating an Italian East African Empire. The objectives of Great Britain, France and Italy were in direct conflict with each other making Abyssinia the key for the execution of their objectives. In order to avoid military conflict among themselves, the European powers each campaigned to win the friendship of Abyssinian (Ethiopian) rulers. This lobbying effort included the supply of large quantities of weapons and other military aid hence turning Abyssinia into the most profitable East African market for European weapons. After amassing a large number of relatively modern arms, Ethiopia was able to conquer Harar in 1887 for the first time. This was seen as a stepping stone for eventual Ethiopian occupation of Ogaden. In 1896, an agreement was signed between Great Britain and the Ogadenia chiefs which was thought to be a guarantee of Ogaden sovereignty. However, the people of Ogaden soon realized that the partner in the accord, Great Britain had no intention of living up to the agreement. Great Britain continued to arm Ethiopia who had made it’s intentions toward expanding into Ogaden well known. In 1897 Great Britain signed an agreement with Ethiopia in which it recognized the Ethiopian claims on Harar which it had occupied a few years earlier. This act appeared to be the beginning of a British retreat from the Ogaden and eventual transfer to Ethiopia. Finally on September 24th, 1948 Britain withdrew it’s treaty of protection over Ogaden and recognized Ogaden to be a possession of Ethiopia despite never having been under the administration or physical occupation of the Empire of Ethiopia. This act was widely recognized by the people of Ogaden as a breach of the 1896 agreement entered into by Great Britain and the Ogaden Chiefs. It was undertaken without consulting the leadership and people of Ogaden who are the sole possessors of the right to self-determination in accordance with international codes, norms and principles of justice. In addition, this action was taken by great Britain after the issuance of the United Nations Charter and formal insertion of the right of self-determination for all peoples who had not yet achieved independence. This 1896 agreement, which constituted the basic principle of British protection over Ogaden, aimed at preserving the territory and peoples of Ogaden against foreign aggression. Particularly from Ethiopia which made no secret of it’s intent to expand it’s empire. The agreement also plainly and implicitly stipulated the sovereignty of the people of Ogaden over their territory. In essence, Britain had recognized the transfer of a territory with which it had entered into a treaty of protection, to an existing undemocratic empire which had never administered or occupied it. The finalization of the transfer occurred in 1954 after which Great Britain formally recognized Ogaden and all the people within as subjects of the Ethiopian Empire. The 1896 agreement of protection between Ogaden and Great Britain had been completely shattered. The people of Ogaden now found themselves under the occupation of an alien power at a time when much of Africa was on the verge of breaking the shackles of colonialism. It must be noted however that before the independence of the Somali Republic in 1960, the struggle of the people of Ogaden was not separate from other Somali people’s struggles for Independence. At that period, the Ogaden liberation struggle was not intended for the liberation of Ogaden alone, but for the liberation of all the lands inhabited by Somalis from the yoke of European and Ethiopian colonialism. The Somali Dervish Liberation Movement (1895-1922)led by the celebrated Somali liberation leader Sayid Mohamed Abdulla Hassan, fought for more than two decades against all colonialists in Somali lands. Upon the joining of British and Italian Somalilands in 1960 and the creation of the Somali Democratic Republic. The people of Ogadenia had no choice but to continue liberation struggle, hoping to someday free themselves from the colonialism which had ended in 1960 for British and Italian Somalilands. In 1963, the Ogaden Liberation Front was formed with the intention of continuing the struggle for self-determination and confronting Ethiopian colonialism which had progressed into a settler colonialism in which lands and property were confiscated from the local populations of Ogaden. 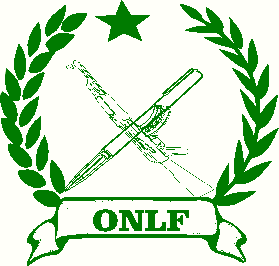 the OLF started a liberation war which promoted the idea of a “Greater Somalia”. This had the effect of creating a public perception which portrayed the Ogaden conflict as a conflict between two states (Somalia & Ethiopia)instead of a struggle for self-determination. The armed struggle which was the only feature of the cause and it’s vividity, became seasonal and subject to the preparadness of the millitary of the Somali Republic. Adding to this misrepresentation of the Ogaden cause was the dominance of a “Greater Somalia” school of thought in the Somali Republic. What followed was the creation of a armed front called the Western Somali Liberation Front (WSLF)which was trained and financed by the Somali Republic. This had the effect of further portraying the Ogaden cause and a mere border conflict between two independent states while side stepping the issue of the right to self-determination for the people of Ogaden. Throughout the campaigns of the OLF & WSLF, the people of Ogaden continued to suffer. In addition to being occupied by Ethiopian colonialist, they had to witness the hijacking of their cause for self-determination by the Government of the Somali Republic and it’s transformation into a boundary dispute. After the withdrawal of the Somali Army from Ogaden in 1978, the sincenre national forces in the Ogaden exerted efforts to correct the course of the WSLF from within and change its approach. The 1981 WSLF conference was the peak of these efforts to transform the WSLF. At this conference a Secretary General support was elected with the mandate of changing the course of the WSLF, but he remained in office for only one year after the Somali Government rejected his style and suspended financial aid to the front completely. Hence, the people of Ogaden sought to establish an truly independent vanguard, to correctly represent the interest of the people of Ogadenia in their justified quest for self-determination. The result of this effort was the creation of the Ogaden National Liberation Front (ONLF) on August 15, 1984 in response to public desire for a truly independent voice for the liberation of Ogaden.